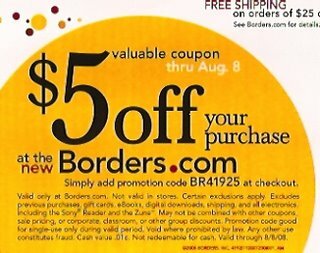 Grab $5.00 off your next purchase at Borders.com! I just got this not-so-junky-mail in the mail today. It’s a clean $5.00 off anything on their new website! It doesn’t get any hotter than that my friends. If you’re on the verge of picking up a new book, cd, or video anyways, check it out here first and see if you can get lucky: www.borders.com. 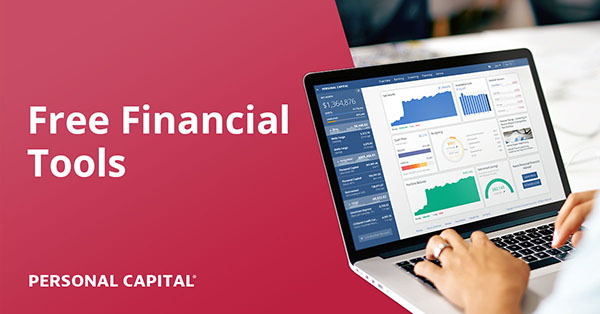 Previous post: My 4 Favorite Pieces of Financial Advice E-V-E-R.
Next post: A Personal Thank You to Great Customer Service out There.